The old saying that where there is smoke, there is fire is definitely true with the latest Toyota vehicle recall. Toyota has issued a recall of 7.4 million vehicles globally due to a faulty driver’s side power window switch that will stick or catch during normal operation. The window switch issue is the result of not having enough lubricant and the window will feel “notchy” or stick slightly when being raised or lowered. The power window issue is more annoying than anything, but the potential for damage to the vehicle or occupants has to do with owners repairing the issue by themselves. Toyota issued a press release today saying, “If commercially available lubricants are applied to the switch in an attempt to address the “notchy” or sticky feel, melting of the switch assembly or smoke could occur and lead to a fire under some circumstances.” Since the recall involves vehicles manufactured between 2007-2009, many of the vehicles are out of the factory warranty and some owners who are mechanical could attempt to fix the problem themselves. With 7.4 million vehicles affected globally, and 2.5 million of those in the U.S., there is the potential that thousands of owners could try to fix it in their own garage. Toyota says in order to fix the driver’s side power window switch, it will only take about an hour once the vehicle can be looked at in the dealers service department. Many mechanically minded owners could fix the problem themselves by using a commercial grease found in any parts store. But that is where the potential fire issue would occur. During factory assembly of the driver’s side power window, a special fluorine grease was applied to the switch and either not enough was applied, or it was applied in the wrong place. With robotics being used extensively in the auto manufacturing process, it’s likely that it was a mechanical failure during assembly. With the issue only being with the driver’s side door, it would make sense that this is the case and not human error. If an owner would apply a commercial grease found at a parts store on the power window switch, it would oxidize during normal use of the power window and the grease can become “carbonized” and the lubricant will eventually fail. The wrong application of grease would cause enough friction and heat and could eventually start a fire inside the door assembly. With the manufacturers recommended application of special fluorine grease, the assembly will work properly. Fluorine grease is used in a variety of industrial applications like vacuum pumps, the food industry, automotive uses, reactive gas, and some extreme military applications. The special grease used by Toyota is made from only fluorine, carbon, and oxygen. The grease is specifically designed for application where extreme use like a power window gets used tens of thousands of times during its useful life. The fluorine grease delivers high performance, performs at wide temperature ranges, and provides superior quality lubrication under extreme conditions in comparison to hydrocarbon greases owners would be able to purchase. So if you mechanically inclined and like to work on your own vehicles, take your Toyota recalled vehicle into a Toyota service department and spend an hour to get the special fluorine grease. Today’s press release said Toyota owners covered by this safety recall will receive an owner notification letter via first class mail starting in late October 2012. 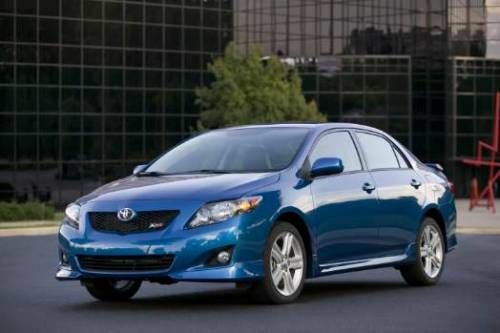 Toyota is asking owners affected by the recall to contact them at www.toyota.com/recall. They can also call the Toyota Customer Experience Center at 1-800-331-4331 to get more information.